Our Retail Grocery Store is located at 721 West Lake Street in Minneapolis, in the Lyn Lake neighborhood of Uptown. We are open Tuesday through Saturday, from 9am to 7pm. Free parking on our side street, Aldrich. Our unique product line covers ingredients from all over the world. We look forward to seeing you! Pick – Up Service Available Upon Request. Retail delivery subject to surcharge. We supply commercial accounts such as restaurants, deli’s, markets, & co-ops(not limited to) with our domestic and imported foods. Let’s take a look at your menu and determine what products we can assist you with! We take Orders Daily and YES We Deliver! To inquire about setting up your wholesale account, please call us at 612.827.2891 or email us at billsimportedfoods@gmail.com. We sell or rent Gyro Verticle or Horizontal Broilers and Rotisseries with the accessories to go with. We have both Electric and Non-Electric Gyro Knives for sale (we do not lease the knives). 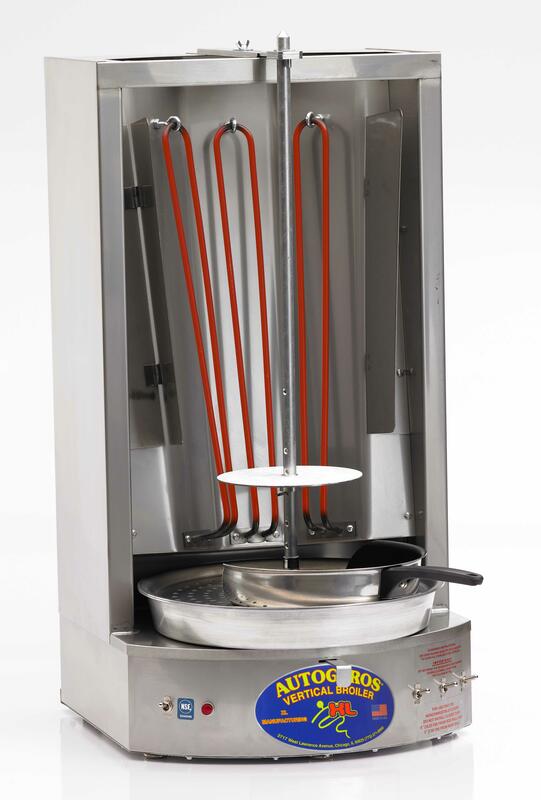 If Gyro’s are on your menu, we supply you the equipment to help you cook them! Contact us today for further information by emailing us at billsimportedfoods@gmail.com. Planning an Event? From Appetizers to Desserts, we have a variety of items to add to your menu! For your special event, we also rent Gyro Verticle Broilers, and the accessories to go with. We will work on your menu with you, if you have any questions on pairings or quantities we can help! Contact us today for further information by emailing us at billsimportedfoods@gmail.com. Place your orders with us by 9:00am to get same day delivery! We deliver through out Minnesota, into Wisconsin, the Dakotas and Iowa. Orders can be called in, emailed, or faxed. Delivery Charges: Orders $250 and under, incurrs $5.85 delivery charge. Orders $251 and up, incurrs $4.85 delivery charge. For Faxed Orders: You will receive a confirmation phone call when fax is received, if you do not receive that confirmation phone call – please contact us. Contact us today to learn about our delivery schedule. We look forward to helping you!